DMX CONTROL WARNING: NEVER use DMX data devices where human safety must be maintained. NEVER use DMX data devices for pyrotechnics or similar controls. Button Height above standoff: .3"
Up/Down Switch Screw Terminals, No On Board Switches: Instead of UP/DOWN switches installed on the PCB, a 3 pin screw terminal will be mounted on the bottom of the PCB (Ground, Up, Down connections) for access to customer supplied/installed switches. Recommended for industrial and outdoor fixtures or devices that require a more robust switch. 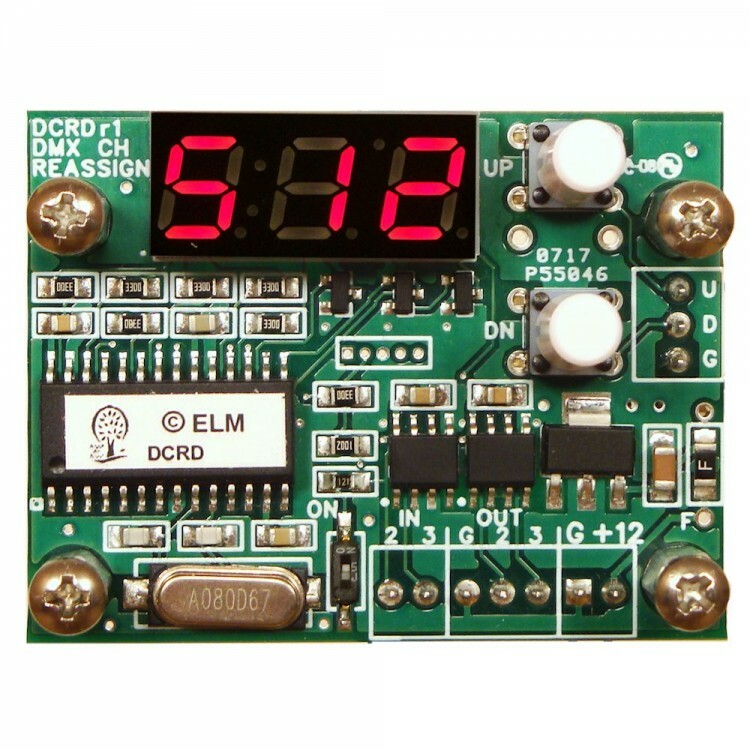 The DCRD-PCB is a DMX input channel reassignment module. Reassigns the DMX start channel of a fixture or device that either has a hard to set dip switch, or doesn't have a user settable DMX channel. Designed to mount inside a DMX device (custom cutouts needed for external access). Simply loop the DMX input data through the DCRD module, set the device to channel 1 (if available to do so), apply power, set the channel via the up/down switches and operate as normal. To add to cart select the Voltage Input Selection. 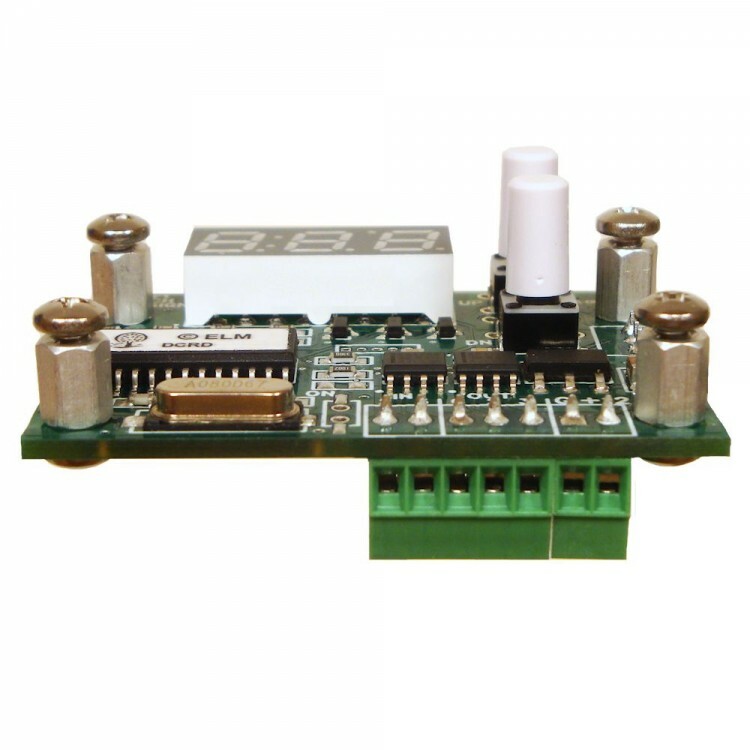 The DX10V-PCB converts a DMX-512 input to a variable 0 to 10 volt analog output. 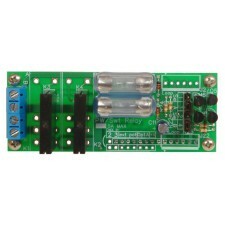 Control 0-10 volt L..
DPM-RL/Coil-PCB The DPM-RL/Coil is a DMX 512 Relay (Driver) PCB. 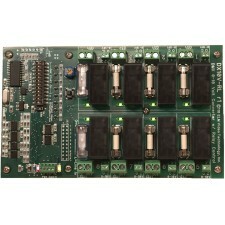 Mates with the DPM4-PCB and control..
DPM-RL/SSR-PCB is DMX 512 Relay Driver PCB. Mates with the DPM4-PCB and controls 2 outputs with 2 am.. 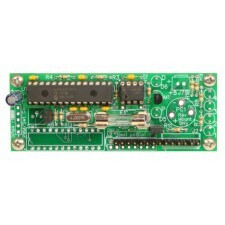 The DPM PCB is a DMX to 4 channel with 8 bit resolution OR DMX to 2 channel with 16 bit resolution P.. 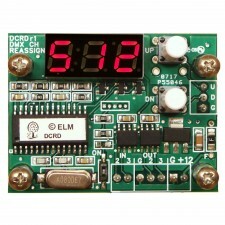 The DPM PCB is a DMX to 4 channel with 8 bit resolution or 2 channel with 16 bit resolution PWM cont.. The DX10V-RL is a DMX to 10 volt converter with simultaneous relay switching control. This functiona.. 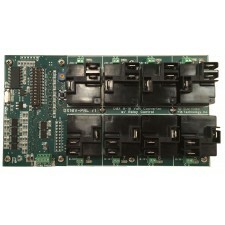 Lot of 5 custom 4 channel PCBs. 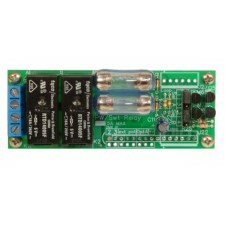 The DX10V-PCB converts a DMX-512 input to a variable 0 to 10 volt an.. The DX10V-PRL is a DMX to 10 volt converter with simultaneous power relay switching control. This fu..